We have internship positions in both our Washington D.C. and St. Louis offices. Our interns work closely with our team and play a vital role in the activities of our organization. We are always looking for a few good interns! The Phyllis Schlafly Center in St. Louis houses the nonprofit branch of Phyllis Schlafly Eagles. 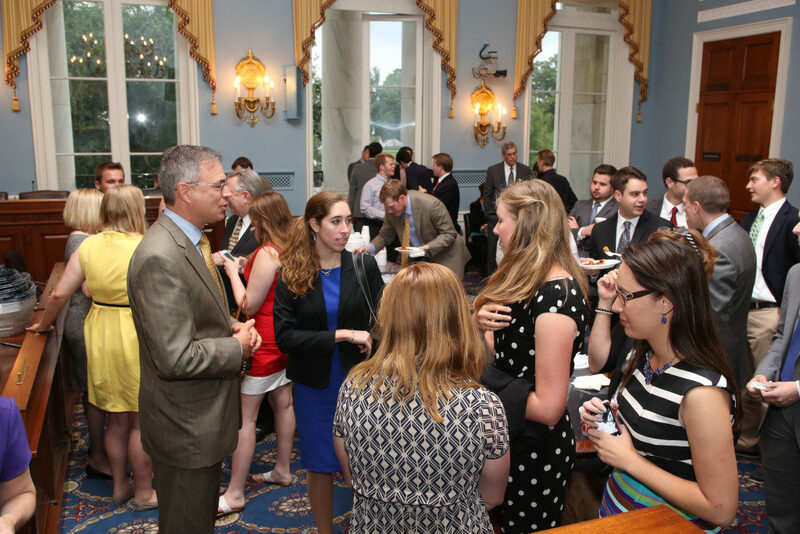 Interns have opportunities to develop writing and research skills working with our Eagle Forum Education & Legal Defense Fund staff, our national Eagle Leaders, and our editorial and archives staff. In addition to member correspondence, interns have opportunities to do administrative and general clerical work, website work, and create social media content. Summer interns will also play a role in helping with preparations for the annual Collegians Summit in Washington, D.C. and the annual Eagle Council national leadership conference in the fall. The Washington, D.C. office gives interns the opportunity to attend Congressional hearings, lobby, and research current legislation. Unlike some pro-family groups, we are involved in an array of issues from abortion and education to United Nations treaties and trade matters. In addition to general administrative duties, interns work closely with our staff as well as other conservatives on the Hill. Through this legislative internship, students learn political strategy and develop writing, computer, and communication skills. Interns also have an opportunity to help organize and attend the Collegians Summit held annually. If you would prefer to submit a paper application, please click on this link and submit your application with resume and writing samples to The Phyllis Schlafly Center, Attn: Internship Program, 7800 Bonhomme Ave., St. Louis, Missouri 63105.